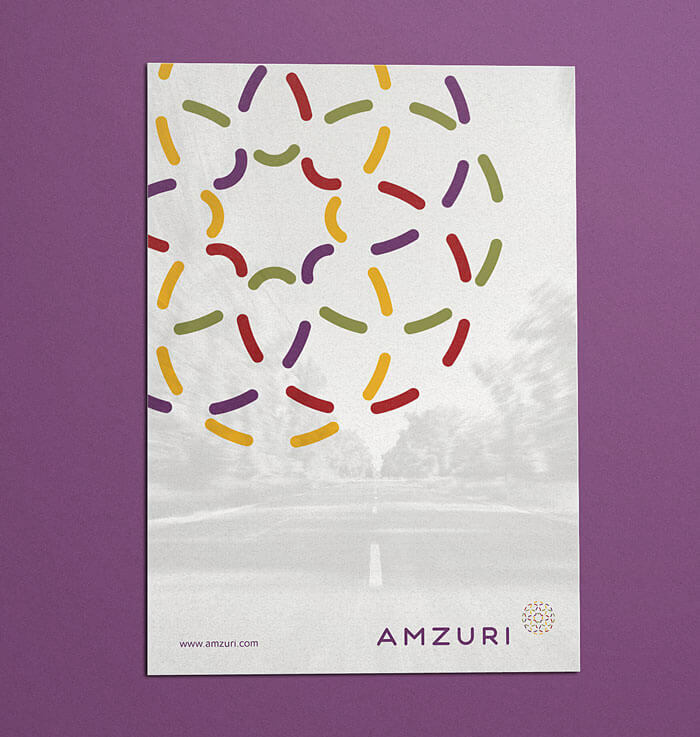 Amzuri is a consultancy company that aims to help individuals and teams get clarity about what they want, and make connections between people, systems, teams and the environment that they operate in. They provide business coaching, leadership development programmes, business assurance and online training resources for both individuals and teams across the UK & Ireland. 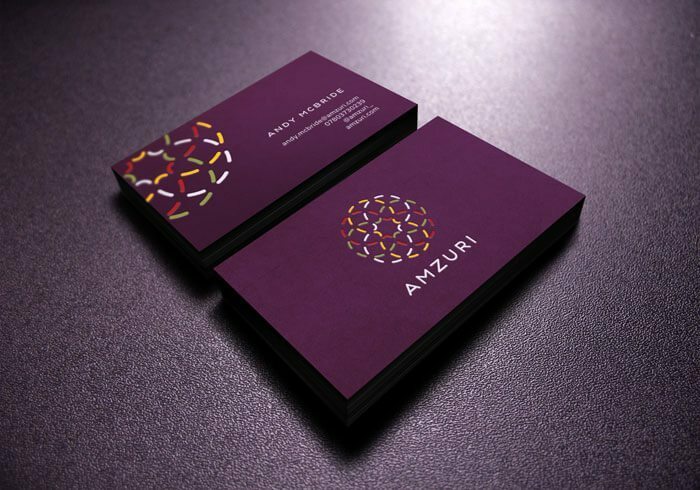 As a startup with no established business logo design, the consultancy company needed the basics to get up and running. Key terms that came up in the initial discussions included being open-minded and culturally literate, the desire to make connections, organic, solid but flexible. A lot to consider! The logomark is based upon the generalised ideas of ‘connection’. Within it, four abstract shapes (based on the infinity symbol) interconnect and rotate around themselves. Each has its own colour and passes through the others to represent the overlap and integration of cultures. The overall spherical shape can be seen to represent the globe, but it’s not overplayed, more symbolic. Typography is rounded, which suggests ‘playful’ yet toned down with all capitals making it more structured and serious. Stuart was great. Inventive, reliable, accessible and thoughtful. I really wasn’t clear what I wanted but he was able to take concepts that were important to me, listen and draw out what was important somehow in the process. Don’t hesitate to get him on board! Want to find out more about Logo Design for your Business?